The Bank of Indonesia's latest economic report looks at Bali's achievements and challenges in Q3 of 2017. Bali's Ngurah Rai International Airport welcomes more visitors every year as Bali's economy grows. 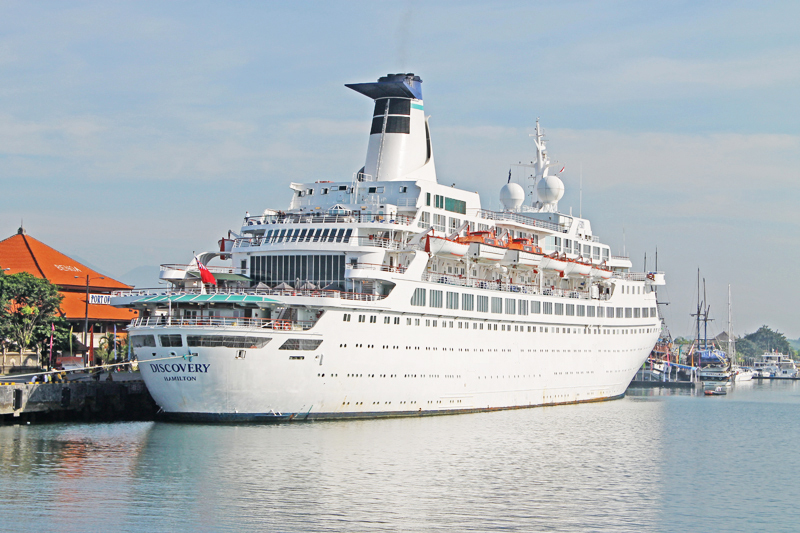 Cruise ships are big business as infrastructure initiatives begin to take shape. Bali's economy grew more than the national average in Q3 2017, according to the Bank of Indonesia's latest monthly economic report. Data indicated overall growth of 6.22% (up from 6.01% for the same period last year) and well over the national average of 5.06%. Consumption from public and private sectors and strong export growth were contributing factors. The hotel and restaurant industry contributed the most and absorbed the largest numbers of 'new labour' to the market with the main markets being China and Australia. Significant spending on infrastructure has reinforced the island's tourism industry. Bank of Indonesia predicted a slight slow down was very likely pointing to a reduction in private consumption as well as Gunung Agung’s recent activity. The 'Agung Factor' is likely to have a more significant impact in the fourth quarter and end-of-year results. Provincial and regional governments spending has slowed down in this period. But the central government has increased the amount spent on Bali compared to the Q2 2017 as well as same period last year. Bali's Provincial and Regional Governments saw a 13% increase in income with an inflation rate at about 2.7%. The same period last year showed a 9.5% increase in income with inflation at 4% with inflation in Bali lower than the national average of 3.7%, which is predicted to continue into 2018. The private sector's general consumption, health and education, restaurants, hotels, mortgages, fuel, general bank credits and car/motorbike sales among others have continued to grow over the last quarter. Domestic investments have remained stable, while foreign investments are increasing. Q3 figures are down on Q2 but BI suggests this is a normal trend from year to year, and a strong Q4 is expected. Positive increases in exports to the main markets of the US, Singapore, and Australia include fish, wood, furniture, and jewellery. Bali's tourism industry reflects a global trend of 'experiencing' holidays, with numbers comparing average length of stay between the star-rated average of 3 nights stay per guest and non-star rated properties, including villas with almost twice this length of stay. The central government and provincial government has a strong focus on organic farming and organic fertilizers with spending at the Regency/Provincial level growing at a year-on-year rate of around 15%, while income growth is following a similar trajectory. The report revealed Tabanan and Buleleng had the highest percentage growth while Denpasar recorded negative growth and Badung slowed down. Overall credit exposure in the private sector was low and there are no signs of existing credits not being served except for a few resorts. Bali’s strategy is focused on the tourism industry with visitor arrivals growing by an exceptional 24%, the industry contribution is 48% of the overall economy, it generates 68% of tax income and absorbs 42% of new labour. Bali is also adopting a new role as a hub to feed the freshly developing tourism industries in other regions. Create a clear roadmap forward. Drive tourism towards village/communities and agro-tourism. Develop strategic alliances between all stakeholders. Have a strong focus on infrastructure developments. The BI report presents a strong and positive outlook forward. With general improvements and good signs in the economies of the US, China and partly the EU, Indonesia in general and Bali, in particular, should continue to shine bright. Click here to download Bank of Indonesia's Report and Economic Review for Bali, Q3 2017.